Same day delivery, installation, connection, and power-on. 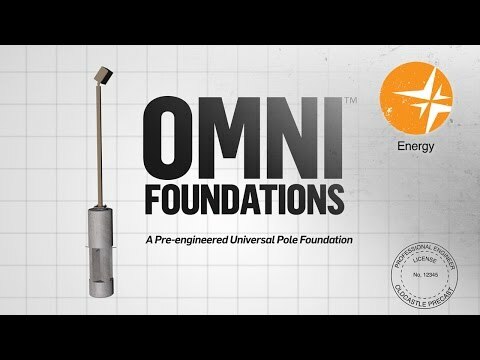 OMNI pole base fits a variety of light poles with it’s universal features, including the adjustable bolt circles, anti-rotational cavities and oversized sleeve to fit multiple conduit sizes. Traditionally pole foundations are cast-in-place at the job site, a process which requires significant time and coordination. OMNI Pole Base simplifies the process by cutting out costly and time consuming steps, making it the ideal one-stop-shop solution. The pre-engineered foundation has an adjustable bolt diameter and prepackaged bolts. This eliminates coordination with the pole manufacturer, creation of templates, and on-site bolt variability. Stocked and readily available for immediate delivery and installation. The Omni foundation allows for a simplified process, reducing the time from delivery to power-on to under half a day. The pre-engineered foundation has an adjustable bolt diameter and prepackaged bolts. This eliminates coordination with the pole manufacturer, creation of templates, and on-site bolt variability. The OMNI Fooundation’s design facilitates easy access to the conduit. 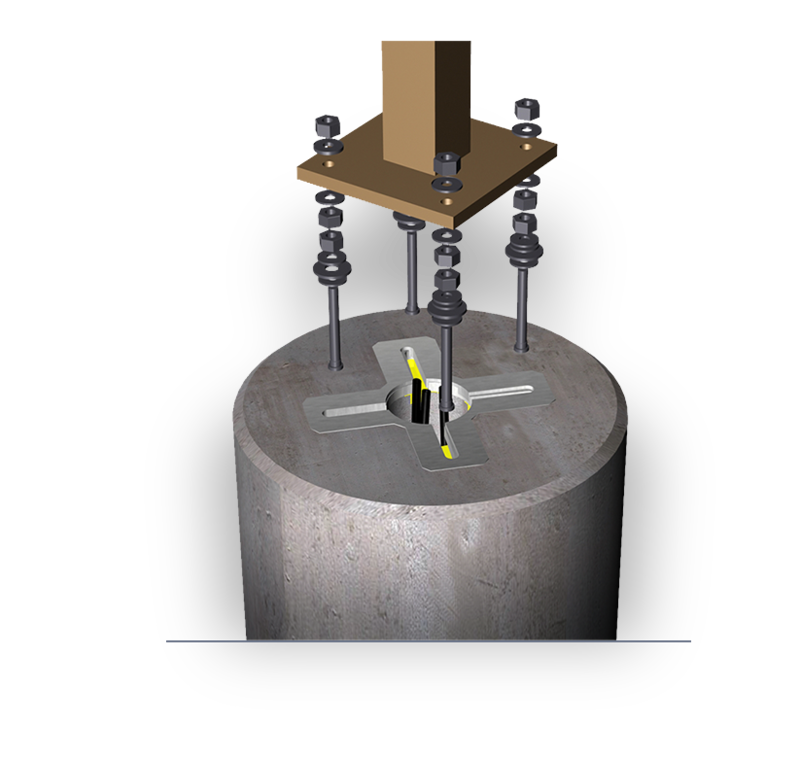 Anti-rotation cavities prevent the OMNI Foundation from twisting or loosening after installation. pdfOMNI Pole base - 18"
pdfOMNI Pole base - 24"